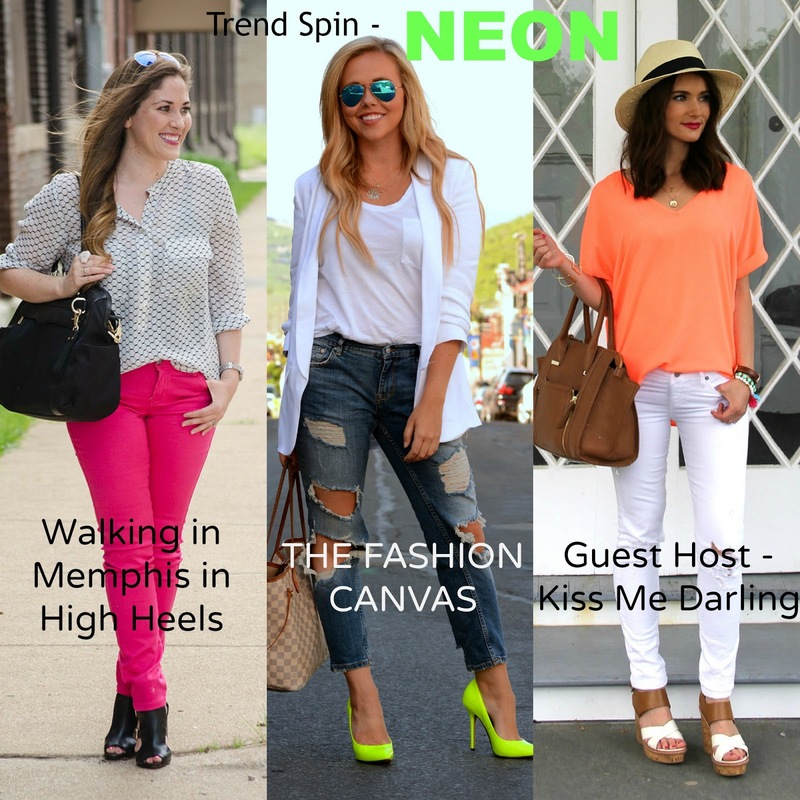 Today and I am thrilled to be co-hosting the Trend Spin Linkup with The Fashion Canvas and Walking in Memphis in High Heels. Now that summer is here, I’m finding myself reaching for vibrant colors and trying to incorporate them in all of my outfits! Neons are my personal favorite during the summers, because they are sure to make me look a little more tan. 🙂 This blouse is one of my favorites, and I have it in almost every color. Next Post Red, White, and Blue! Such a pretty top and I love the hat and shoes. LOVE this whole look! The hat really makes the outfit pop! You pull off that neon color really well! I really can't stand neon though personally because where I work we have to shoot it in house for our website and it's a hassle to color correct in photoshop…so I have nightmares about neon, ha! hahaha sounds like you have a good reason to hate it. I used to work at Jane.com and I remember the vendors always telling me that neon was a pain to photograph! lol You're not the only one. You three look gorgeous!! I love this color on you! Those shoes are to die for!! Those green neon heels are to die for! aren't they adorable? I love neon! Such a fun linkup! 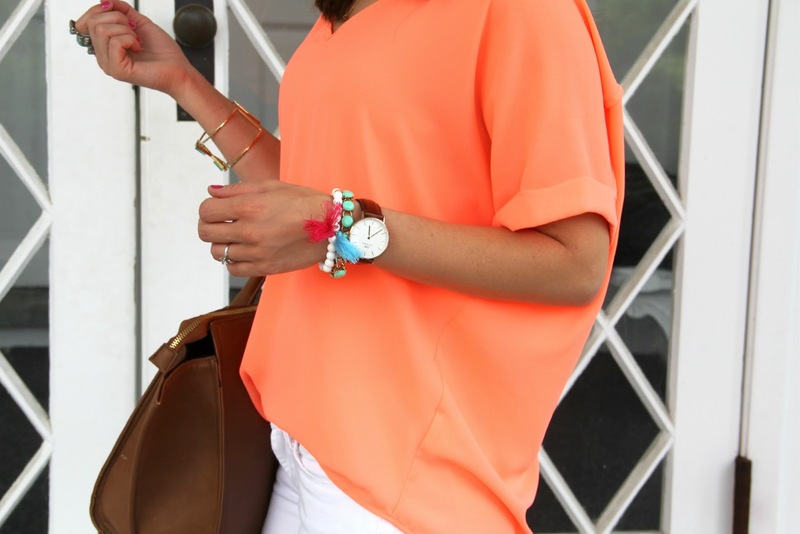 I love neon top with your white jeans! Thanks for guest hosting! I love your white jeans! Lovely look, i would love to linkup but I don't have any neon outfit posted yet! You look fabulous with the neon top! Perfect summer look! I love that orange top and your hat and shoes match perfectly. Obsessed!!! I love your outfit, that tee is everything! And all these gorgeous ladies' proposals are amazing, too!